Rosevine Inn Happenings-Canton Trade Days, cooler Weather and all that comes with it! Well here it is again-FALL-it officially arrives on September 23. So let’s find out what is going on when you visit our Tyler Texas Bed and Breakfast. The Rosevine Inn can be your bed and breakfast in Tyler, Texas. We will feature concerts, walks, Canton Trade Days, support of firefighters around the world, and so much more in the next couple of weeks! Let’s start with a little exercise. 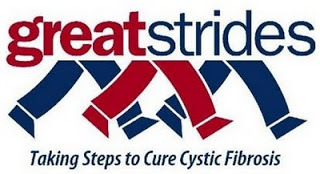 GREAT STRIDES is the CF Foundations largest fund-raising event. It provides opportunities for all people within a local community to get involved forming teams through their workplace, through clubs and organizations or with friends and family. Walk day is a fun, family-oriented celebration that includes a healthy 10 kilometer (6.2 miles) walk, Kids Corner activities, food, and festivities that participants look forward to year after year. Coming to Tyler for the 5th year! Come see your local Firefighters compete against some of the fastest competitors in the world! The Challenge annually attracts hundreds of U.S. and Canadian municipal fire departments at more than 25 locations and is now expanding to countries around the world, including New Zealand, Germany, Argentina, Chile, and South Africa. The Challenge seeks to encourage firefighter fitness and demonstrate the profession’s rigors to the public. Wearing “full bunker gear” and the SCOTT Air-Pak breathing apparatus, pairs of competitors race head-to-head as they simulate the physical demands of real-life firefighting by performing a linked series of five tasks including climbing the 5-story tower, hoisting, chopping, dragging hoses and rescuing a life-sized, 175 lb. “victim” as they race against themselves, their opponent and the clock. Saturday, September 25th, 2010 @ 8:00am at Broadway Square Mall VERY INTERESTING!!!! YOUR INNKEEPERS ARE GOING TO THIS!! The dance is hosted by the Historic Aviation Memorial Museum. Tickets are $40 per person & may be purchased at the HAMM gift shop, 150 Airport Dr. Tyler, TX 75704. One may purchase by check made out to HAMM and mailed or by phoning in your VISA/Mastercard to 903-526-1945. Tyler Big Band will provide the 1940’s style music and dinner will be catered by the Skyline Cafe. Dress casual or 1940’s attire welcomed. Saturday, September 25th, 2010 @ 6:00pm Click here to enjoy a 1940’s style song courtesy of Pandora! Per Brevig and the East Texas Symphony Orchestra opens the 2010-2011 season with a concert featuring pianist Haochen Zhang, co-Gold Medalist of the 2009 Van Cliburn International Piano Competition. He will perform Prokofiev’s Piano Concerto No. 3. Also on the program, Shotakovich’s Symphonic Poem, “October”, and the Symphonic Dances of Rachmaninoff. 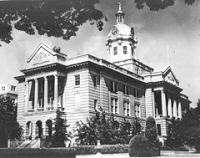 Step back Somewhere in Time to celebrate the history of the 1909 Smith County Courthouse and the continuing service to the community by the Smith County Historical Society, an organization with over 50 years of preservation efforts underway. Guests will enjoy presidential hors d oeuvres and beverages while listening to vintage tunes from the early part of the 20th century sung by East Texas Men in Harmony and viewing rare museum artifacts from the 1909 courthouse on special display for the evening. Silent auction items from local businesses will be available and also a live auction featuring the artwork of local artist Jack Mason. The Society is responsible for the preservation and daily maintenance of the 1904 Carnegie Library Building and the Camp Ford Historic Site. In order to continue to do the most appropriate conservation efforts they are asking the public to help with their monetary needs. In his one man theatrical memoir, Tony, Emmy and Golden Globe Award-winner JOHN LITHGOW shows why he is considered one of the greatest actors of our time when he explores storytelling as the unacknowledged tie that binds humanity. STORIES BY HEART is a compilation of P.G. Wodehouse’s “Uncle Fred Flits By,” Ring Lardner’s “Haircut” and Mr. Lithgow’s own family stories told to him and his siblings when they were children. On the heels of its acclaimed Lincoln Center Theater presentation, this performing arts event, directed by Jack O’Brien (3 Time-Tony Winner including best director for Hairspray on Broadway), is a rare opportunity to witness the talents of an amazing actor up close and personal. HERE AGAIN AND THIS ONE IS VERY POPULAR SEPT 30 THRU OCT 4!!! This entry was posted in Uncategorized and tagged Canton Trade Days, Cowan Center, East Texas Symphony, Rosevine Inn, Tyler Things to do, UT Tyler. University of Texas Tyler by admin. Bookmark the permalink.